Mouthwash is a time-honoured companion to the toothbrush, toothpaste and floss when taking care of our dental health – but it’s important to remember that not all mouthwashes are the same. Salt rinses can be made at home for a tiny cost – but aren’t the most palatable of rinses and tend not to provide the refreshing kick and feeling of an immaculately clean mouth that other mouthwashes provide. Alcohol and flouride mouthwash gives the user that clean feeling, but can have a host of downsides. It’s only fair to list the pros and cons of mouthwash so you can make up your own mind! Plaque and bacteria lingering on teeth and around gums is a primary cause of gingivitis and other periodontal diseases, which can be a really serious problem once they get a hold of your mouth. Regular use of mouthwash helps eliminate these bacteria, reduce plaque and prevent these diseases. Flouride mouthwash has been clinically proven to prevent demineralisation of tooth enamel, and regular use of mouthwash helps wipe out the bacteria which produce cavity-causing acid, long before this acid has a chance to dig into your teeth and cause cavities. Mouthwash can help soothe painful mouth ulcers by reducing the acidity of your mouth, cleaning the area around the ulcer and acting as a cool wash for the inflamed area. Mouthwash is often marketed as a way to improve your breath, and while it certainly does so, it is best used in conjunction with a solid dental hygiene routine to see best results. On its own, it provides a false sense of security by masking the symptoms of poor dental hygiene (the bad breath) without actually treating the root cause (the poor hygiene itself). This can lead to some nasty complications down the line, so be careful to keep a good brushing/flossing routine up while using mouthwash! Paradoxically, as well as soothing mouth ulcers, mouthwash can irritate them. This usually happens with rinses which have a high concentration of alcohol, or which is overused. Overusing mouthwash can cause mild irritation of your gums, which translates as major irritation of existing mouth ulcers. Overall, the pros of mouthwash use far outweigh the cons. Just be sure not to rely too heavily on it, and use it as an aide to great dental hygiene rather than as a crutch for it! Many people believe that brushing your gums in the areas where they are bleeding can lead to even worse irritation and inflammation. In truth, it can actually help your teeth to do this. Cleaning bleeding gums helps to destroy the plaque that is causing it in the first place and may eventually lead to gum disease if left to gather. If there is any pain from the sensitive gums, brush your teeth at a slightly different angle or leave it a few minutes for the pain to subside before continuing. Teeth should undeniably be on the whiter side of the colour spectrum. We are certainly not telling you that brown or yellow teeth could be healthy. They’re not, and you should seek treatment immediately. 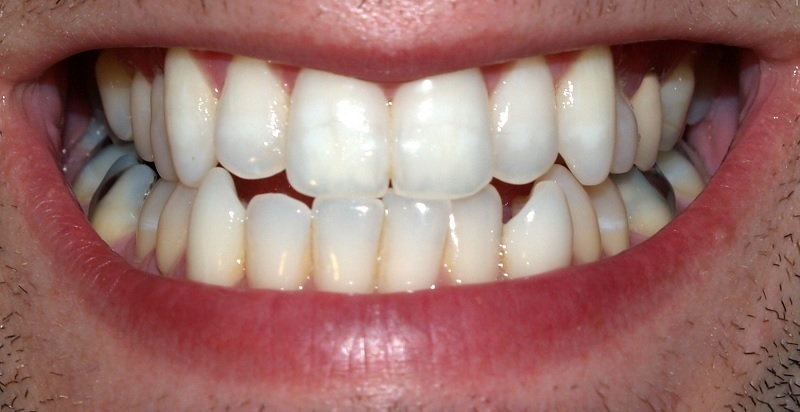 But the precise whiteness of the teeth don’t reflect how healthy they are. You can have bright white teeth and still have an infection, or you could have dull white teeth and be as healthy as they can. Even from an early age, we are told that sugar will rot our teeth. This isn’t necessarily true. What rots your teeth is a combination of sugar, bacteria and acid which will form if your teeth are left uncleaned. Therefore, you can consume sugar and still have teeth as healthy as someone who doesn’t, just so long as you brush your teeth often and correctly. This, of course, isn’t an excuse to indulge. But small amounts of sweets or chocolates can be harmless if you are committed to keeping your mouth hygienic. Believe it or not – there are many simple ways to take care of your smile without spending hundreds or thousands of pounds on treatments. A lot of dental problems that people experience are easily preventable earlier in life, whilst for other complaints such as stained teeth or bad breath, its never too late to tackle them. It’s just all about building the right habits. Learn to incorporate these seven habits into your regular cleaning routine and good teeth will always be a part of your life. Brush your teeth twice daily – morning and night – using the right toothbrush for you. 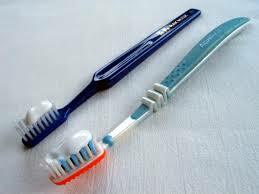 Your toothbrush should fit your mouth comfortably and the bristles should not feel too hard on your gums. Brush at a 45 degree angle, using brush head-wide strokes. Be sure to cover all faces of your teeth, including the chewing surface; the inner side and the outer side. Did you know that 90% of dental problems arise from the areas in between your teeth? This is where food debris can become trapped and plaque can start to form. You should floss at least once a day to remove the debris from these areas where your toothbrush cannot reach. To do this, edge the ribbon of floss gently between each of your teeth, bending to create a ‘v’ shape against each tooth. You should never pull down hard or rub the floss back and forth against the gum line. Keep going, using a clean part of the floss for each tooth, and more floss if you need to. You can also use an interdental brush instead. One of the main causes of bad breath is from bacteria that collects on your tongue. 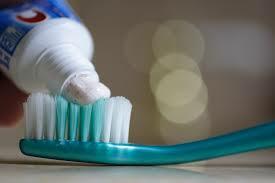 Brushing your tongue when cleaning your teeth helps to remove this and freshens your breath, particularly first thing in the morning before you have eaten anything. Alternatively you can use a proper tongue scraper to do this, available from your dentist or chemist. For extra fresh breath, use a good quality mouthwash morning and night, preferably one that is PH-balancing and alcohol free (alcohol can dry out your mouth and make teeth more susceptible to bacteria). As well as neutralising plaque acids in the mouth, mouthwash helps to target those hard-to-reach areas where debris might accumulate. Replace your toothbrush every two to three months to avoid bacteria building up and being transferred back into your mouth. After all, your mouth can only be as fresh as your toothbrush! Limit or cut back on highly sugary and starchy foods, particularly before going to bed. 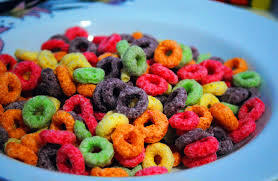 These kinds of foods can erode teeth when left to sit for too long and cause tooth decay over time. These foods include things like sweets, cakes, chocolate, crisps, bread and crackers. Chewing gum after eating these foods can help to reduce plaque acid build-up; however, they should still be regarded as treats. If a pearly white smile is what you’re after, it’s best to avoid heavily staining foods such as red wine, black coffee and black tea. Smoking can also wreak havoc with the look of your teeth over time, causing discolouration. Stick to paler food and drinks; limit your intake of alcohol, and quit or cut back on smoking. You might also like to speak to your dentist about simple teeth whitening procedures; the Smile Clinic offers a few different options for people wanting a brighter smile that can suit their circumstances and budget. You should arrange an appointment to see your dentist at least every six months, even if there is nothing wrong. Regular checkups with your dentist can help to detect problems before they’ve even occurred and ensure that everything is working as it should. After one or two positive visits, you’ll soon learn to love the dentist! For those with specific dental concerns, there are a number of other things you can do in addition to the basic habits outlined above. Use a whitening toothpaste in conjunction with your regular toothpaste each day, which can help to remove stains and build-up. Ask your dentist to recommend one. Those with sensitive teeth should use a toothpaste specially designed for just that. This will help to fill the tiny holes in the teeth’s enamel, which expose the nerves and make them painfully sensitive to hot and cold temperatures. Electric toothbrushes have been recommended by dentists as a more efficient way to clean one’s teeth. They cup each tooth closer and move faster than a manual brush. Just be sure to change the head every two to three months. Instead of flossing, you can use an oral irrigator to remove debris in between the teeth. Also known as ‘water jets’, irrigators use streams of water to blast plaque away from the teeth. Tests have shown that they can remove up to 99% more plaque than brushing alone. Teeth whitening is a popular procedure being carried out by many dental experts for both health and cosmetic reasons. Whilst some people may decide to purchase a DIY whitening kit to use at home, it is much more advisable to speak to your dental practitioner who will be able to perform the procedure safely and give you the best results. For many people, undergoing a teeth whitening procedure has been claimed to bring them a new lease of life, not just in their smile or overall appearance, but in their confidence too. Each of our teeth is made up of an inner layer – the dentin – and an outer protective layer – the enamel. Over time, food and drink build up and accumulate to form a third layer of foreign matter over the teeth. This can usually be removed with the regular use of toothpaste, a whitening toothpaste, mouthwash or a dentist’s scale and polish. 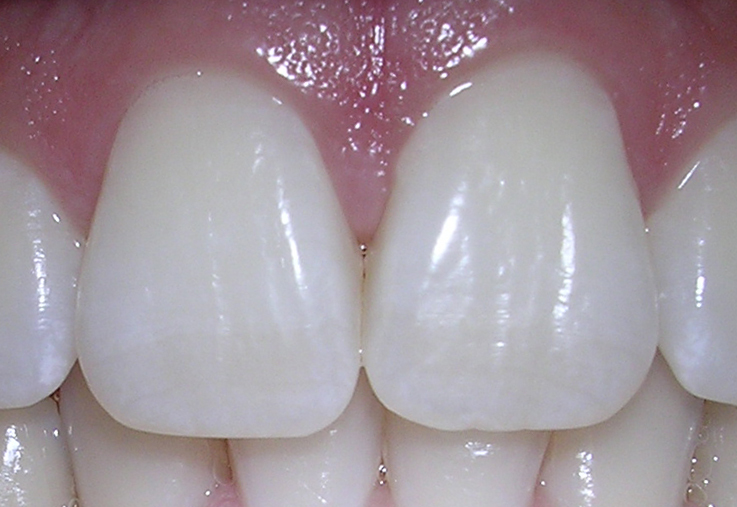 However, if left for long enough, this foreign layer can get into the enamel and make the tooth appear discoloured. (There may also be other reasons for a tooth appearing discoloured, such as the nerve dying.) This is usually when people look for other ways of restoring lightness to their teeth, either by abrasively removing the matter or bleaching it. There are two main types of teeth whitening Liverpool services that dental practitioners will offer. One is with the use of a whitening gel, which is applied to the teeth repeatedly over a specified period of time, either in-office or at home. 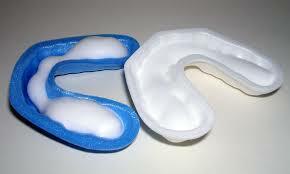 The dentist will take an impression of the patient’s teeth to make them their own custom mouthguard. In an in-office procedure, he/she will use this to apply the whitening formula onto the teeth, leaving it for several minutes before rinsing it off and starting again. He/she will likely repeat this several times, and the results can be 4-6 shades lighter in one 40 minute session. In an at-home procedure, the dentist will instruct the patient how to correctly apply the whitening gel to their own teeth using the mouthguard. He/she will specify how many times it should be applied, over what period of time, and how long the gel should be left within each application. The second type of teeth whitening service is laser whitening (sometimes called power whitening). This uses a bleaching product, which is applied to the teeth in-office, and a laser, which is then shone onto the teeth to activate the bleach. This process takes around an hour to complete. Whitening gels will often use one of two chemical agents: carbamide peroxide or hydrogen peroxide. These set off a chemical reaction when used in the mouth – namely oxidation – that breaks down the unwanted compounds on the tooth’s surface. A dentist will tailor the use of one or both of these agents to suit their patient’s needs. Before starting treatment, he/she will also clean the patient’s teeth, fill any cavities and check that the gums are healthy. Whilst the results of teeth whitening can be fantastic, it should be noted that they are not permanent, and can last anywhere from six months to three years. 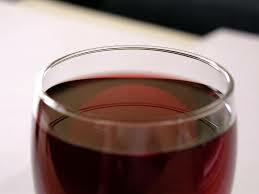 The effects will wear off faster if you smoke, or dri nk red wine, tea or coffee regularly. Patients with decayed teeth, infected gums, white spots on their teeth or multiple fillings/crowns may not always be good candidates for teeth whitening, so its important to speak with a dentist first. Even if you do not fall into any of these categories, it is wise to remember that not everyone will see results after the procedure. It is best to talk to your dentist about the likely outcome so you can have realistic expectations and make an informed decision. We will be passing on tips on keeping your dental hygiene at its best. Jelly Beans are not included !